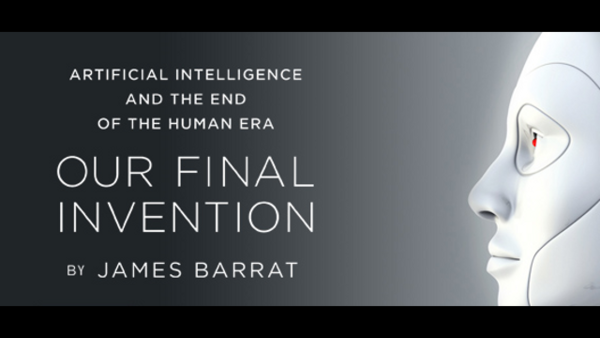 In this episode, author and filmmaker James Barrat and I discuss the potential for superintelligence research to go horribly, dangerously wrong. Also, the wonderful blog Boing Boing is co-promoting this episode (full description below). Just click the play button above to listen. My co-host Tom Merritt and I discuss pages 380-464 of the novel toward the end. To hear a wide-ranging interview about the real-world risks we humans could face from a rogue superintelligence, hit play, above. My guest is author and documentary filmmaker James Barrat. Barrat’s 2014 book Our Final Invention was the gateway drug that ushered me into the narcotic realm of contemplating super AI risk. So it’s on first-hand authority that I urge you to jump in – the water’s great! James and I discuss the “vampire problem” and many other issues in our interview. If you’re looking to cut back on the long, unproductive hours you currently waste on sleep, you should definitely give it a listen.